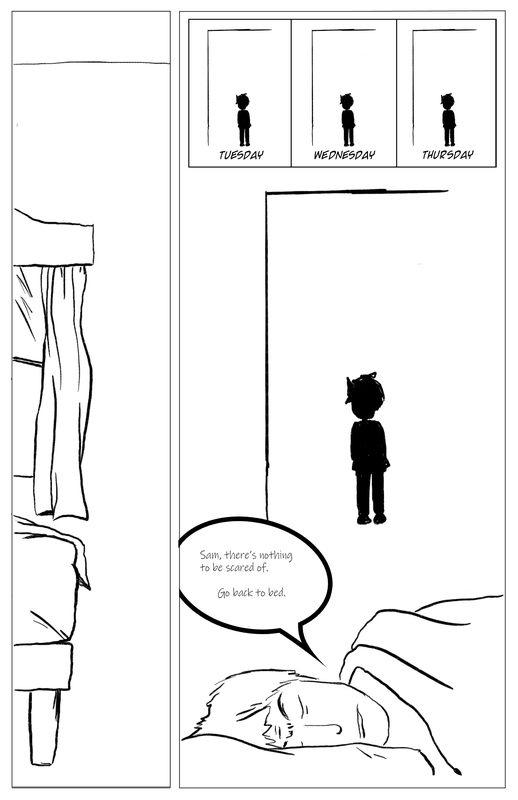 I didn’t get to finish mine- I still have to color it (and the color is actually important, particularly in the first panel)- but I wanted to post at least my black and white version for class today. 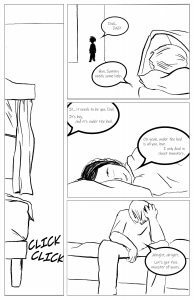 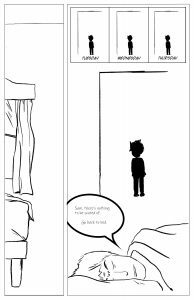 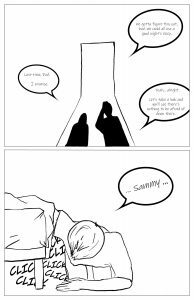 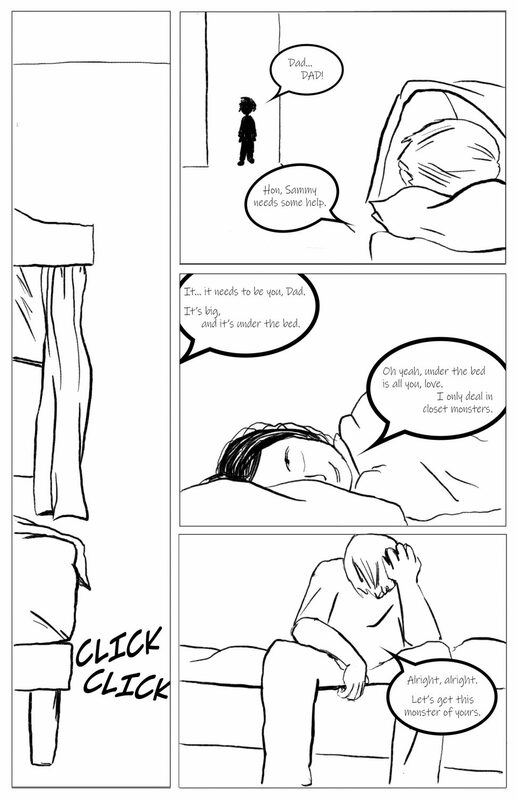 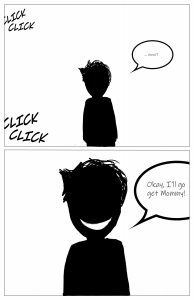 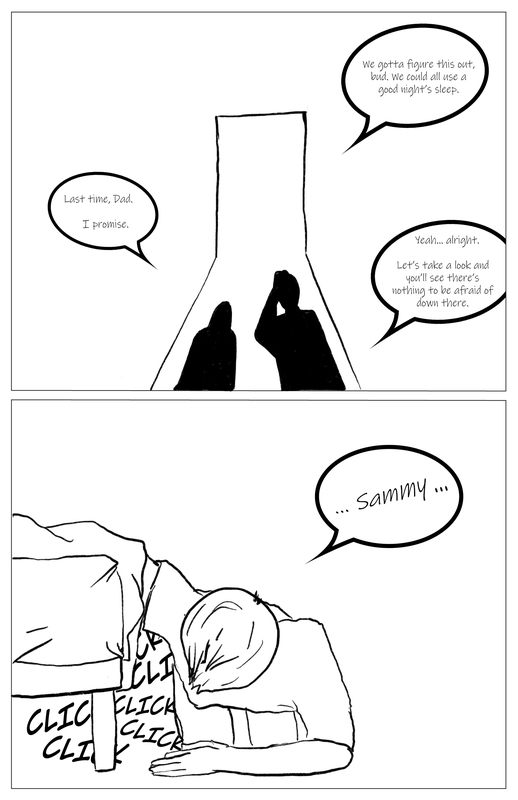 Similar to the typographic version, everything that takes place in the panels in Sammy’s room will be dark and shadowed, while the panels in the parent’s room will be light and easy to see. 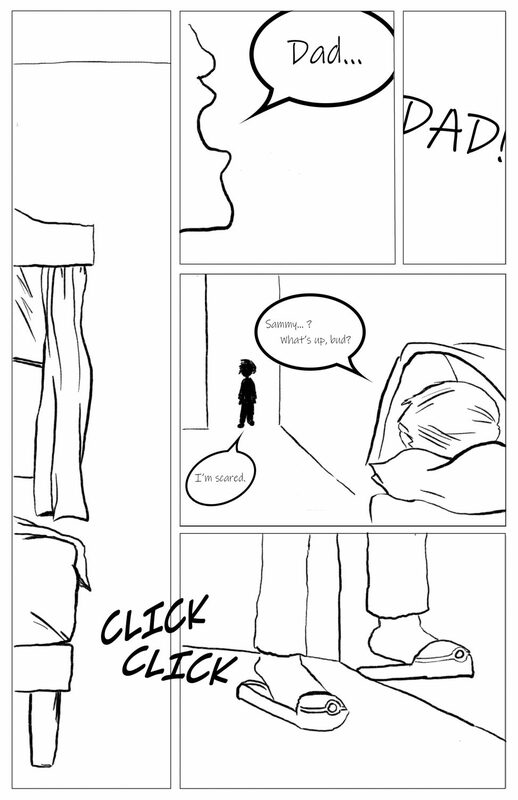 This assignment definitely gave me a greater appreciation for comic creators- there is SO much to think about visually that it was hard not to get caught up in it all! 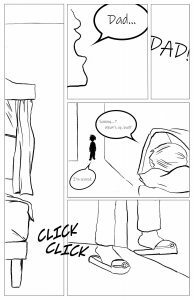 I tried to play with a couple of ideas I really liked from material we’ve looked at it class, from nested panels to conveying motion through angles to thinking carefully about McCloud’s transitions. 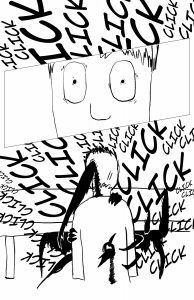 One thing I wish I would have explored more (and will be for the final project) is pacing the reading and building tension visually- certain scenes that take place on one page might have been more effective “spread out” for instance.